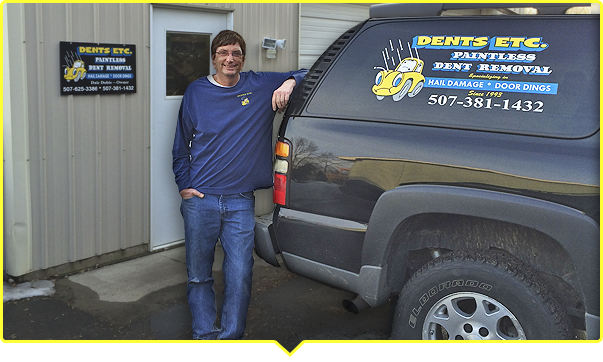 Specializes in paintless dent removal (PDR). We have been repairing hail damage and door dings since 1993. Has over 20 years of experience which is the main key to knowing how to fix your dents expertly. Has worked with several bodyshops, car dealerships, and insurance companies, repairing thousands of hail damaged cars and door dinged cars.